I have been lusting after an 1886 chambered in 45/70 Government for quite some time but an original Winnie 86 was definitely out of my price range. 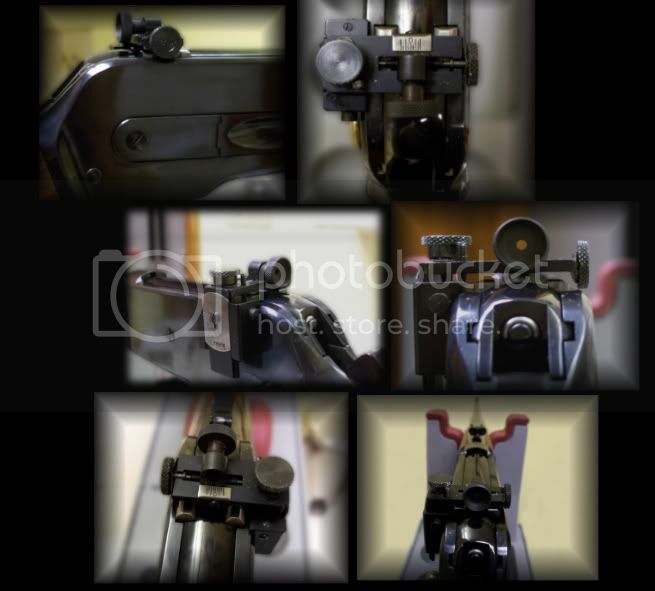 I had handled and shot a friends Miroku made deluxe 86 back in July and have wanted one in a bad way ever since. For a long while I wanted nothing to do with the jap made Winchesters for the simple fact they are no more a Winchester than what my Rossi 92's are in my opinion. But the Winchesters made at the Miroku plant in Japan are a fine quality reproduction all the way. When I got a chance to feel and shoot one it was all over but the wanting. The U.S. 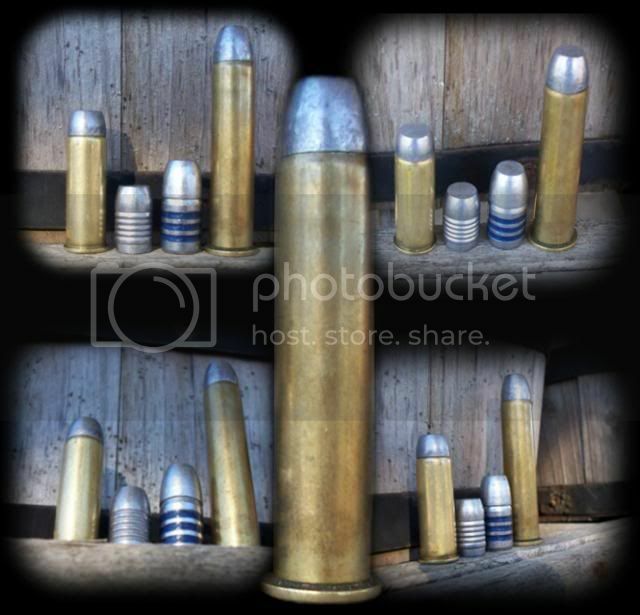 Repeating Arms 1886 Extra Lights had a limited run in 2001 of 3500 grade I, and 1000 grade II. I run across a grade I Extra Light and jumped at the chance to get it. 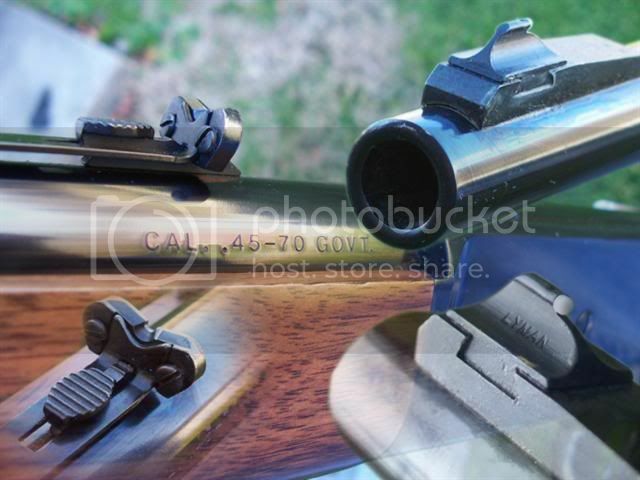 Like its little brother (the model 1892), the model 1886 has two locking lugs that come up through the bolt that makes for a strong tight lockup. 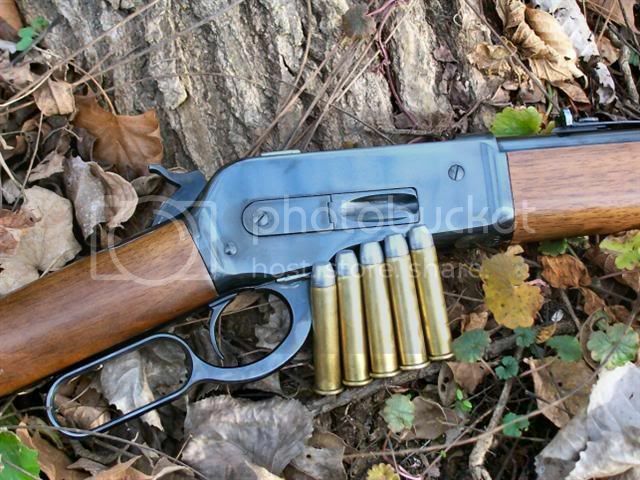 The modern Winchester and Browning 86's are the strongest leveractions out there. 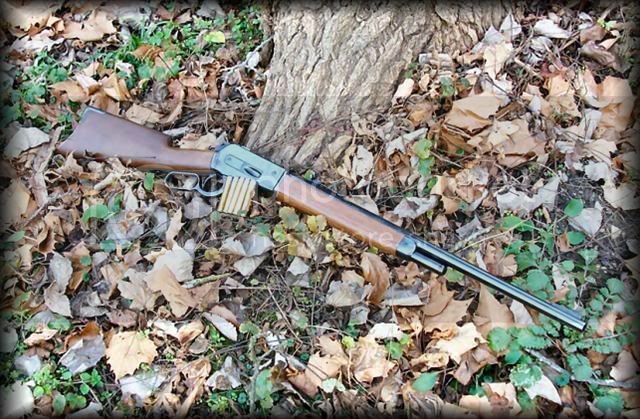 A fellow forum member of Paco Kelly's leverguns summed it up when he desribed the 1892's and 1886's as perfection, and perfections template. 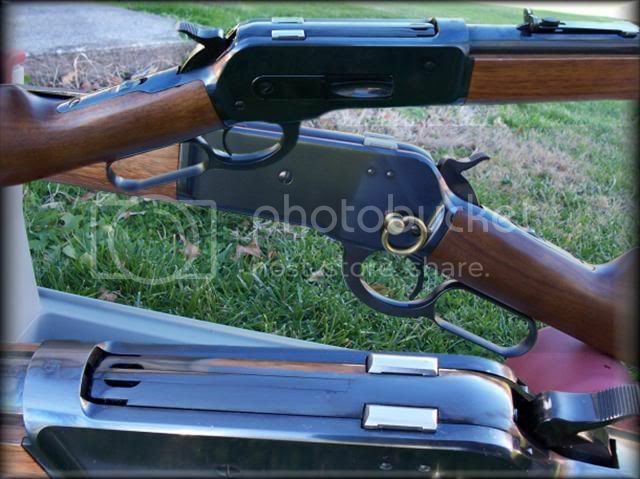 It cant be described any better for these two fine John Moses Browning leveraction designs in my opinion. 22 inch tapered round barrel with a one in 22 inch twist rate, buckhorn rear and an ivory bead front site. The '86 Extra Light also has a half tube magazine for a 4+1 capacity, and a straight grip walnut stock. 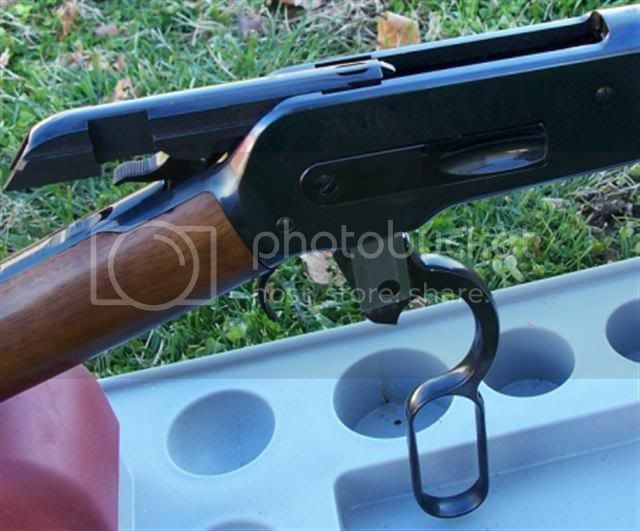 Originally this '86 had a shotgun style buttstock but was replaced with a cresent style. I prefer the crestent style buttstock as recoil seems to be more spread out and has a more comfortable fit to my shoulder. Plus they just right out look nice! 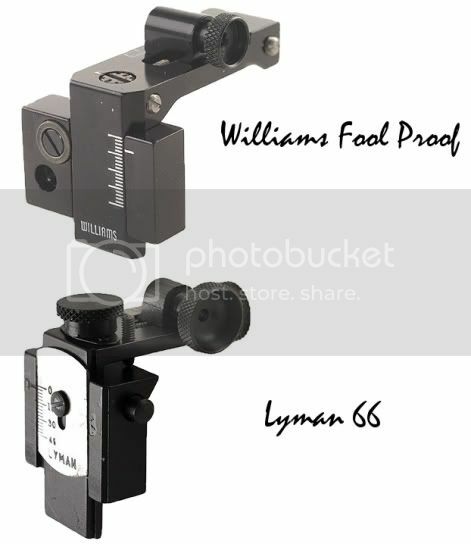 The 86 reciever was drilled and tapped from the factory so it was between the Williams FP (Fool Proof) or the Lyman 66WB reciever peep sight. 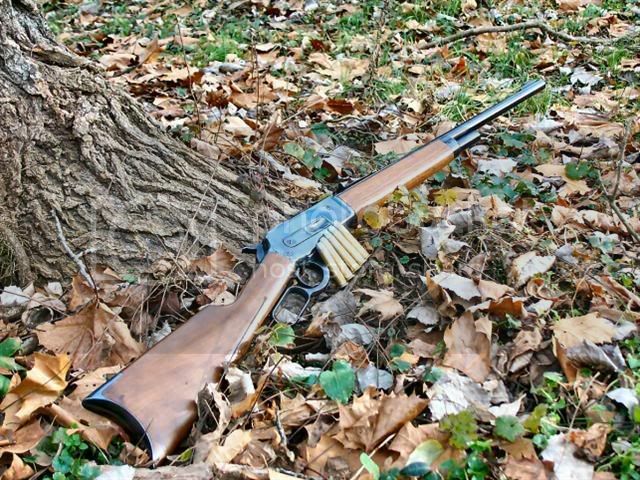 I have the Williams FP on one of my Rossi 92's and it is a great reciever peep site but for this fine rifle I opted for the Lyman 66WB. I got it for a good price (Thanks Ben T!) and just like the overall looks of it. Tools are not needed for adjusting elevation and windage with the target knobs plus I really like the quick disconnect feature this sight offers. Posting pics and writing about it is not helping helping my marriage any Steve! !